A very relaxing, pleasant and painless experience, incorporating some face and neck massage which can help sinus issues. A hollow ear candle (usually made from beeswax and unbleached cotton) is placed gently at the entrance to the ear canal. The outer end is lit and the candle is burned to just over half way (taking around 10 minutes), whilst being held upright, before being removed and extinguished. This ensures that no hot wax can possibly enter the ear. The warm smoke softens hard ear wax so that excessive wax can be expelled by the ear’s normal self-cleaning process a day or so after the treatment. Clients with sinus problems often report less nasal congestion and feeling much clearer in the head. A crackling or sizzling sound can often be heard during the treatment and a warm sensation felt in the outer ear. This is a deeply relaxing treatment and much more pleasant than syringing if you have ear problems. Feedback from Clients suggests there may be improvement in mental clarity and relief of some of the symptoms associated with stress, hayfever, rhinitis, colds, catarrh, vertigo, sinusitis, excessive ear wax, irritation of ear or sinus, sensation of blocked ear, headaches, tinnitus, migraines and in some cases the restoration of smell and taste. 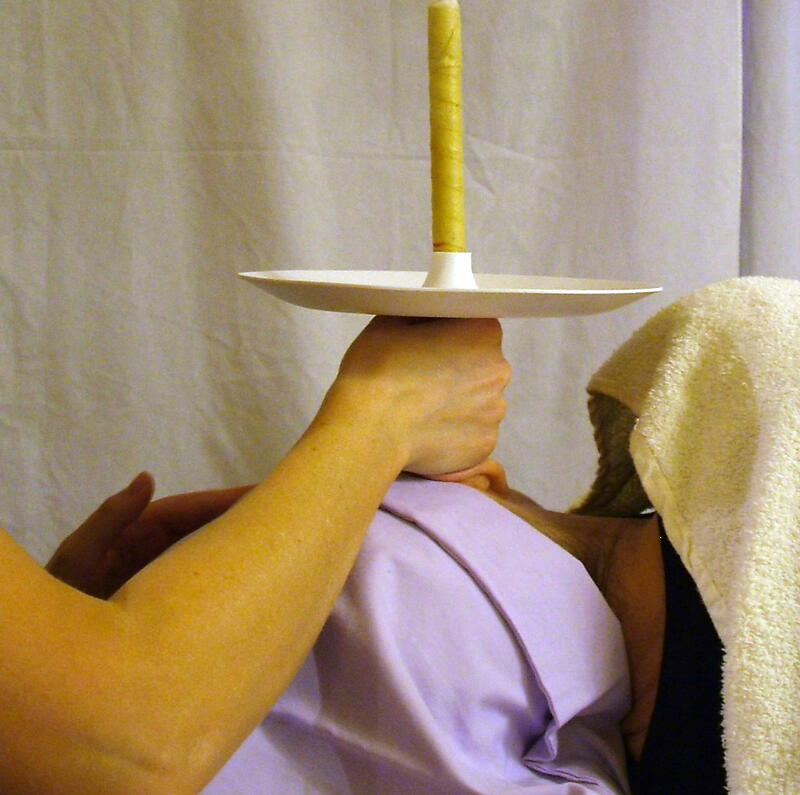 Often holiday makers choose to have ear candling before they go away as it seems to help regulate pressure to assist with discomfort some people experience when flying, travel sickness or deep sea diving. It is suitable for adults and children (including wearers of hearing aids). Either Biosun® Hopi ear candles or the larger ‘Canadian’ style candles may be used, which both work in the same way.